Rabbi Levi Sudri was born in Miknas, Morocco in 1968. He is married, has eight children, and lives in Ramat Bet Shemesh, Israel. He made Aliyah to Israel at the age of 1 in 1969 and grew up in Sderot. He studied in Yeshiva Merkaz HaRav for 9 years, in the Institute for Preparation of Teacher "Merchavim", and in Herzog College in Alon Shvut. He also served in the "Handasa Kravit" unit of the IDF. Rav Sudri received his Master's Degree from the Hebrew University in Jerusalem in the Hebrew Language and started the Ph.D. program in Hebrew Language as well. He served in Bet Shemesh as a rabbi, high school teacher of Tanach, Talmud, Hebrew and geography. Rabbi Sudri was requested to start a children's TV show, called Arutz Meir LeYeladim, where he still sometimes performs in the Live Tanach program. Rabbi Sudri lains the Torah for the organization Dargah and currently teaches in the Yeshiva Shaalei Torah in Ramat Bet Shemesh. He runs after-school activities (Chugim) on ther subject of The Living Tanach. Rabbi Sudri's main concern is that learning is a fun experience for the students and that the students will remember what they have learned because of the singing learning process as was done in previous generations and will not forget what they have learned after a short period of time. He records various Jewish books on CDs and MP3s in laining and singing styles of Jews from various countries. In addition to this, Rav Sudri sells Dudaim seeds as a traditional remedy, and segula for people having trouble conceiving. You can visit the site at www.dudaim.net. 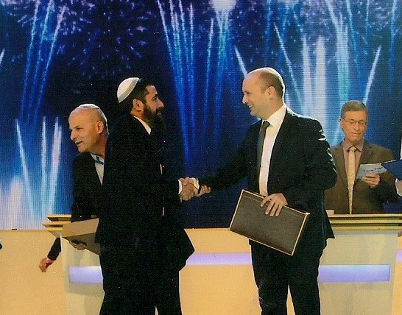 On Chanukah 5776, Rav Levi Sudri was crowned "Chatan Hatach", winning first place in the Israeli National Bible Quiz (Chidon HaTanach) for adults. Rabbi Levi Sudri's website provides various recorded shows and hundreds of professional recordings of various Jewish books, such as the Tanach, Prayers, Mishna, Midrash, Zohar, and others. Some of the books are recorded in various laining styles for Chazans, Bar Mitzvas or regular learning. Also there are recordings of songs for children that help them learn and memorize various Jewish subjects. In addition to audio recordings there are videos of live performances that replay various scenes from the books of the Tanach. Rabbi Sudri provides also additional services, such as vowelization (Nikkud) of Hebrew texts and conversion of various recordings to MP3s or CDs.